Croatia beat England by 2-1 last night and entered the finals of the 2018 FIFA World Cup. Ivan Perisic and Mario Mandzukic were the ones to score goals for Croatia. While the pundits rooted for the victory of the Three Lions, Luka Modric and his men left no stone unturned to get the results in their favour. 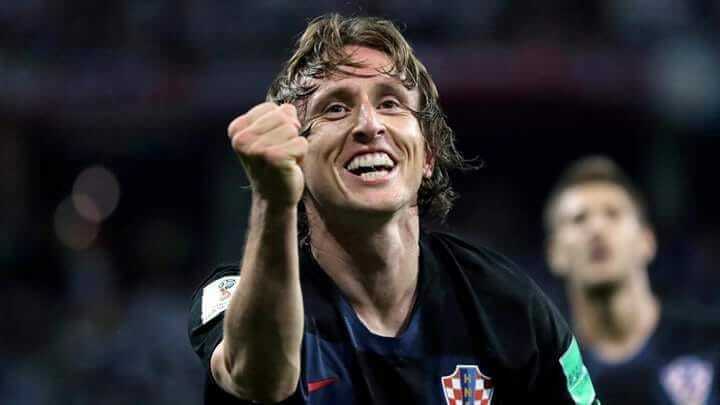 Before the game, Croatia was considered to be underdogs despite having players like Luka Modric, Ivan Rakitic, Maro Mandzukic and Dejan Lovren. However, post winning against England, Luka Modric did not mince words and slammed the English football pundits and journalists. “English journalists, pundits from television, they underestimated Croatia tonight and that was a huge mistake. All these words from them we take, we were reading and we were saying 'ok, today we will see who will be tired',” he said while talking to the press. Speaking about the match last night, England’s Kieran Trippier gave a lead to the team by scoring an early goal at the fifth minute. For the first half, it looked like the predictions by the pundits would come true. But, Ivan Perisic, scored an equaliser at the 68th minute. The play was extended and Mario Mandzukic scored another goal for Croatia at the 109th minute. Croatian legend Davor Suker said, "We all thought that after 1998 that this would not happen, but it did happen and I sincerely congratulate all the boys and the coach. It's an honour for all the fans, from San Diego to Australia, a great honour for everyone. This is unreal. Croatia is in the World Cup final!" The team will face France in the finals of the 2018 FIFA World Cup On July 14.